Server Core installations can be specifically targeted at situations where single server roles are needed. Combining some of these roles on one server might also be very powerful, as I will show you in this post of my Easter SC’enarios series, where I’ll try to construct the ultimate Branch Office server using Server Core roles. This will result in a headless server, that can be safely stored in a kitchen cupboard of a remote location of your company. Management can be safely performed from the Main Location using a combination of MMC Snap-Ins, WinRS and WinRM. 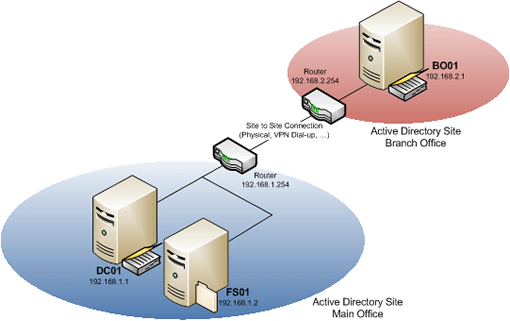 The Domain Controller will become a Domain Controller for a new Active Directory Site. I’ll assume you have the servers at the Main Office and Active Directory (domain.local) set up and configured properly. Now that we’ve made a partition available for booting the Operating System we can begin preparations for encrypting the other partitions of our Server Core box using Bitlocker. Your server will need to have an activated Trusted Platform Moldule (TPM) v1.2 chip and you will need to have your Windows Server 2008, Windows Vista or Windows PE media to complete this step. For other methods to enable Bitlocker take a look at the BitLocker TechNet Step by Step pages. The ocsetup.exe command is case-sensitive on roles. Where P@ssw0rd is my own choice for the master password for the TPM chip. You may come up with your own password, but please write this password down… When this command completes successfully you are ready to use your TPM chip with Bitlocker. We can now actually begin encrypting the Windows volume and your data volume. We’ll begin with the Windows volume. Perform the following command. It will output a Numerical password which you really need to write down. Your system is now ready to be used in a fashion where the contents of your hard disk is encrypted using the onboard TPM chip. The classic question was to place a (writable) Domain Controller in the Branch Office or increase bandwidth to the central Domain Controllers to facilitate authentication. Branch Offices also typically have specific needs. Most of the time central restrictions don’t get taken very seriously and the only real restriction seems to be budget. This results in the kitchen cupboard servers most of us will have encountered. (along with the coffee machine hooked up to the same UPS?) The Read Only Domain Controllers functionality offers branch offices fast authentication, while being more secure than writable Domain Controllers, mitigating the risks when the box gets compromised or stolen. In this SC’enario I will be setting up the Domain Controller using the command line. Other options include using an answer file and staged promotion using the /CreateDCAccount switch for dcpromo.exe. My preference this time is the command line since it can be scripted and since it can be performed using WinRS and WinRM. 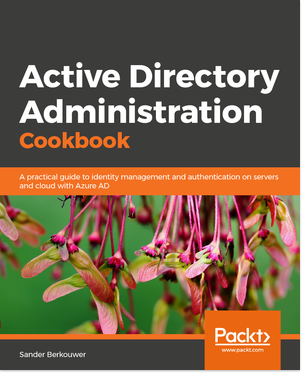 The following command assumes you already have your Active Directory running, already created the Active Directory site for the Branch Office, already performed adprep /rodcprep and already have at least one Windows Server 2008 Domain Controller deployed. Your Server Core will automatically reboot when dcpromo is successful. Don’t forget to log on as Domain\Administrator after this first reboot. Since the DCPROMO command already mentioned to install a DNS Server on our Branch Office server we only need to install DHCP to accommodate the users in our Branch Office with automatic IP addressing. Alternatively to setting up a DHCP server on your Branch Office Server you can use a DHCP Server on your router. This would not make much sense from a management standpoint, unless your router supports RFC1542 and is able to offer DHCP relaying for a centrally managed DHCP server. Although we’re putting information from our Main Office on this Branch Office server we haven’t reached the point where business critical information is placed on the Branch Office only. One of the advantages of placing a Branch Office is reduced bandwidth requirements, but how to make the Branch Office server a file server while still not placing files on the Branch Office server only? Distributed File System is the answer! I’ll assume you already have Distributed File System set up on your Main Location, running your Active Directory in Windows Server 2008 functional mode and benefiting from the new Windows Server 2008 Domain-based Namespaces. Adding your Server Core Branch Office server to your already existing DFS namespace is as easy as adding the Server Core box as a Namespace server in the DFS Management MMC Snap-In on the file server in the Main Location. The error stating that the DFS Service isn’t started is to be expected and the Add Namespace Server can fix this for you. If you want you can make a separate replicated DFS folder to replicate backups. DFS-R offers additional settings over FRS, like a replication schedule and bandwidth throttling. A separate replicated DFS folder would allow you to benefit from these settings. Since your Server Core installation is only 2GB on disk, your backups can more easily be replicated in contrast to a Full Installation (8GB). Optionally you might even consider installing the server remotely using a built-in DRAC/ILO card. You can use 10GB more of your hard disk to store your users’ data, since Microsoft requires 10GB for Server Core in contrast to 20GB for a Full Installation’s hard disk. Although the hard disk of the server is encrypted and the server can be deprovisioned from Active Directory easily (RODC) there’s an additional layer of ‘security’ since the server doesn’t offer a familiar graphical user interface. Peter R. de Vries wouldn’t know where to start investigating. A kitchen cupboard suddenly sounds like a good location for a little server to happily hum away and make your coworkers days more effective. So, you want to BitLocker an existing computer? New Domain-Based Namespaces On The Way!